DYNAVIS® is an “Ingredient Brand”. Like GoreTex or Intel, it works closely together with well-known brand products. Thanks to a label that the market recognizes as signaling added value, it is visible to everyone. 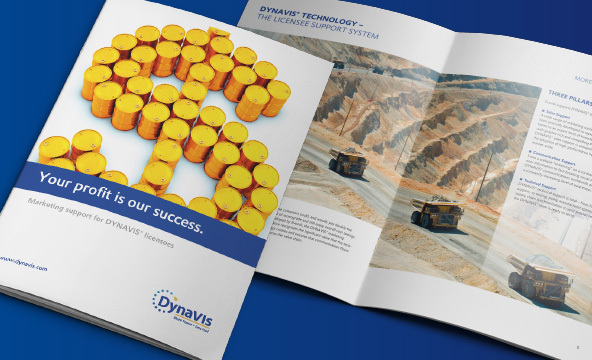 Carriers of the DYNAVIS® brand are major mineral oil manufacturers, as DYNAVIS® is a formulation technology that enables selected hydraulic fluids to work more efficiently. Its primary target market is users of construction machinery. 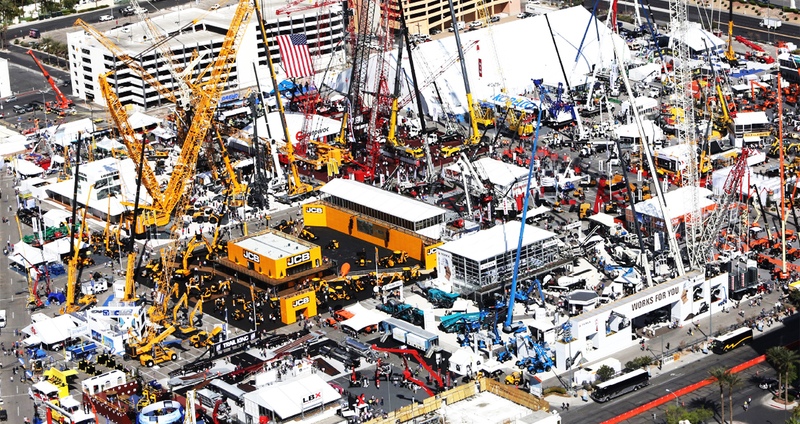 The leading trade fair for the construction industry in North America represents a crucial appearance for DYNAVIS® – as the gathering place for the who-is-who in this line of business. 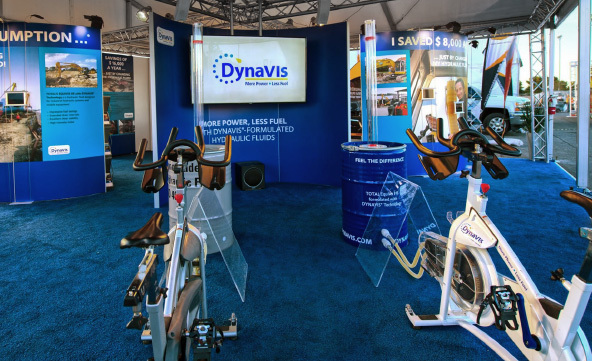 DYNAVIS® is present with its own exhibition stand. Concept, design, implementation by SK+P. 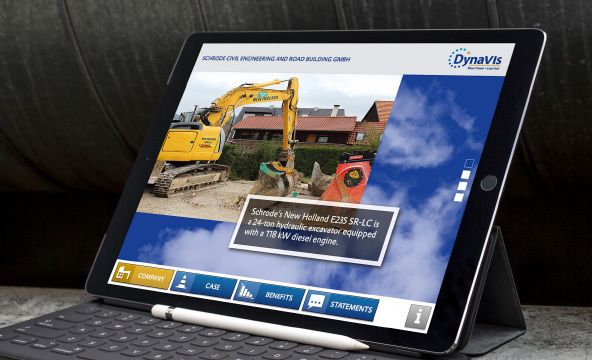 The majority of visitors are users and investors from the construction industry. 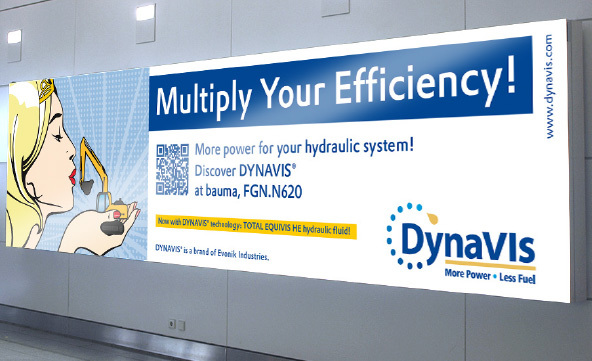 They are interested in the efficiency gains that can be achieved using a DYNAVIS® formulated hydraulic fluid. 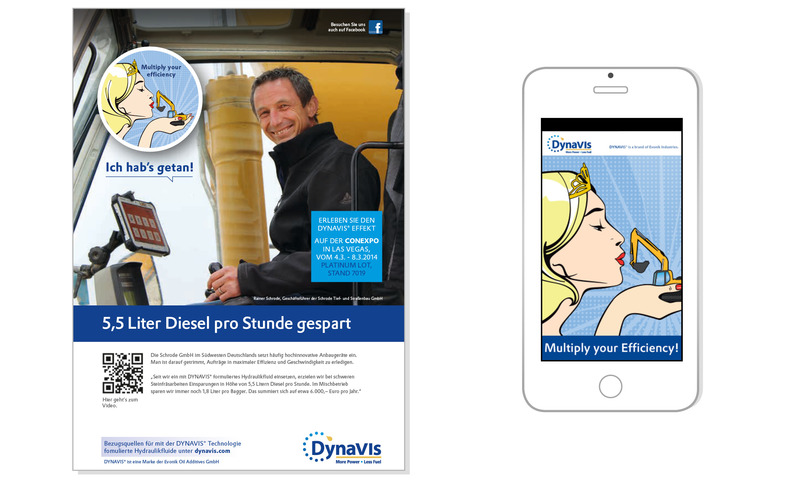 Decision makers from the lubrication industry, including potential future DYNAVIS® licensees, can experience the DYNAVIS® marketing concept and tools in action. All tools designed, created and programmed by SK+P. 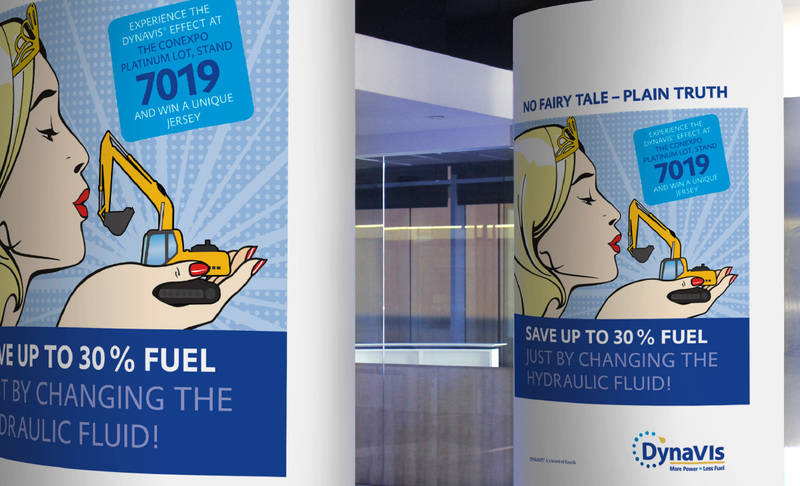 SK+P develops and implements print communication and outdoor advertising around airports and train stations, and ensures apps are available on presentation tablet PCs.